This wooden key holder is the product of great effort and artistic touch. It has six key holders attached at the bottom of it. It Read More..will make a good wall hanging as well. 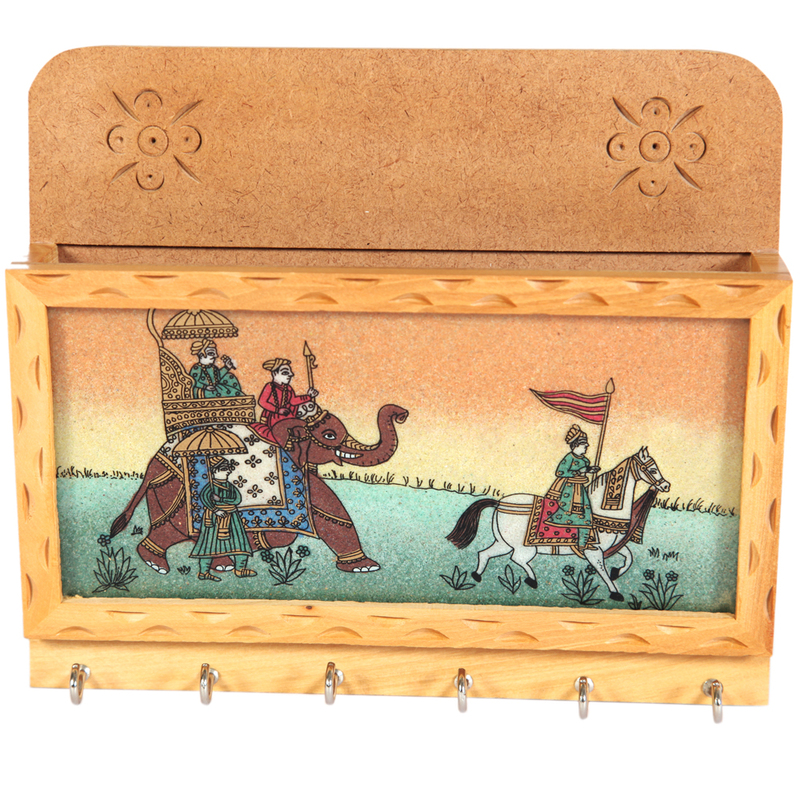 The image painted on the front of this key holder depicts an elephant with the king sitting on the top of it under an umbrella and a horse before it with a guard of the king. The suitable colors help to make this product very interesting. Show Less..